BCNI can build custom hosting and scalable solutions to manage your business. With the IT environments and applications that are getting more complex every day, hare at BCNI, we understand that you may need a custom hosting plan. With the flexibility of our infrastructure configurations and scalability of our high capacity network you can feel confident that we will be able to meet all of your your requirements for your web applications. BCNI specializes in providing custom hosting solutions from small to large companies, our hosting solutions are supporting a vast range of applications and platforms, that are focused uptime and performance. We initiate the custom hosting process, with an in-depth discovery meeting to identify and define the a network configuration that will suit you the best. Contact us today to speak to one of customer representatives about starting to build a custom hosting solution that will be the best for your demands. Businesses are running Web Applications in the cloud to lower costs, deploy applications faster and easily scale. The scale of the BCNI cloud makes it easy for your business to respond to rapid growth or unexpected demand. BCNI can optimize your custom hosting plan to suit your business needs and control costs for future changes. Each year, standard hosting solutions might no longer deliver the scalability, performance and security that you need for your business. BCNI overcomes these limits by providing flexibility that allows you to change the infrastructure of dedicated servers or cloud based services without compromising performance or security. BCNI approach takes out the need for the costs associated with maintenance and for spreading your infrastructure across self-managed data centers and multiple hosting providers. We offer managed dedicated servers, colocation, cloud hosting and custom enterprise solutions for web applications. BCNI offers dedicated servers hosting solutions or cloud server scalability, dedicated server performance, increased security and daily web applications maintenance in one package. Using our custom hosting solutions you will reduce capital expenses and liberate your technology resources so you can focus on improving your business. 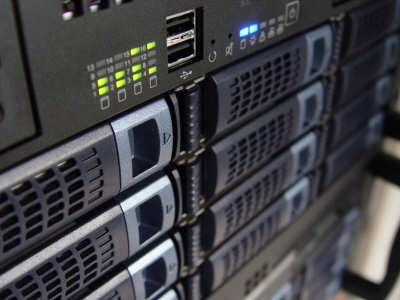 Our dedicated servers are ideal for your company’s applications that require a higher level of security. Public or private dedicated servers or cloud environments are the ideal solution for database, web applications and scaling development environments. As one of the best hosting solutions, a cloud environment permits you to meet increased demand when running applications, without increased capital expenditures. BCNI offers custom hosting solutions in Oakville, Burlington and Mississauga but also provides solutions via remote support throughout whole Canada. Visit our custom hosting solutions website.